Truecaller, a universal caller ID for everyone, is the most popular application in Google Play with one of the biggest database of users. In simple words, Truecaller is an application that will let you know who is calling you if the number is not saved in your phone. It works in an intelligent way, where it collects data from the devices that already have installed Truecaller or have registered in Truecaller. 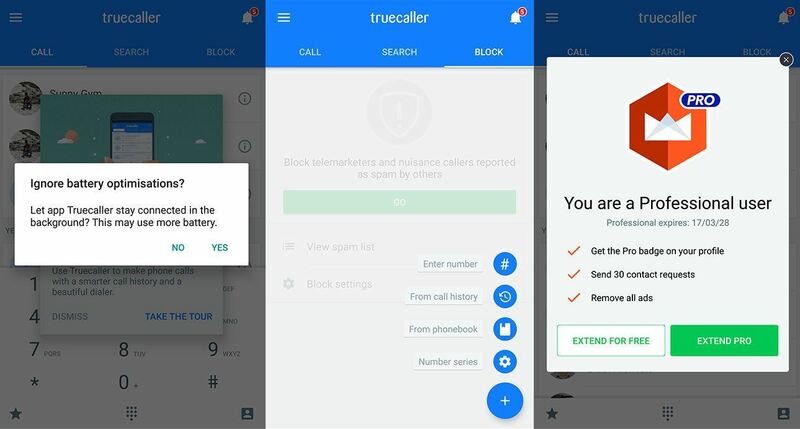 In addition, it also acts as an advance caller blocker, where it automatically detect telemarketing calls and mark it as a spam call, and you get an option to block that number. Everything is so organised and simple that Truecaller has become a must have application for me from years. It works in 3G and Wi-Fi networks, and it hardly takes seconds to detect the name of the caller. Along with these basic functions, it also has a unique feature, where one can search a number and find his name or other details. You can also search people with their name and connect with them, though it is a premium feature. 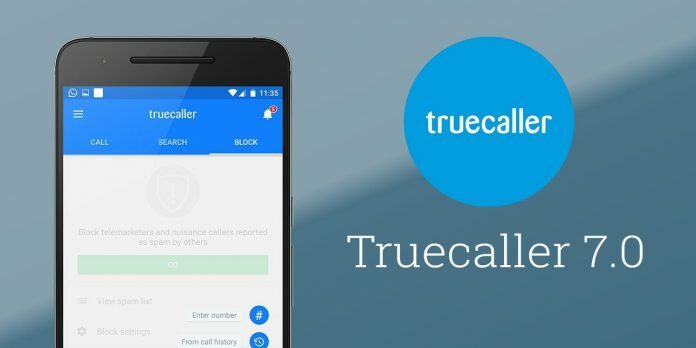 The latest version of Truecaller is fully compatible with Android Marshmallow. You can download the latest version of Truecaller, i.e. version 7.0, from the link provided below. This version has recently been released by the officials, and it may take few days to available globally, till then you can download the untouched official APK from below. It is approximately 8.17 MB in size. Smart Call History replaces unknown numbers with real names and faces in your call history, even for numbers that are not saved in your contacts. Availability shows you if your friends are free to talk before you call. Now you’ll never get a busy signal or interrupt someone again. Built-in dialer allows you to make all your calls directly with Truecaller. New design and app icon to help you use Truecaller to replace your dialer. Truecaller is free to use, but it also has an in-app purchase option which provides some premium features like “Pro” badge in your profile, 30 contacts request along with add-free user experience. To download the latest version of Truecaller for Android, stay tuned with us. We always publish the latest versions as early as possible, so that you always stay updated.